Casino markers are lines of credit that allow high-level gambling patrons easy access to large sums of cash. Candidates for a marker must apply to the casino credit department where the patron's financial worthiness is examined and final line of credit determined. Casino markers are short-term, interest-free loans. However, repayment must be prompt or the patron faces high interest fees and possible criminal charges. Casino markers allow patrons the ability to access a line of interest-free credit for quick and easy access to large sums of cash. Many gamblers prefer taking cash from a marker as a convenient and attractive alternative to carrying large sums of money in and out of a casino. Casino patrons use markers to avoid paying fees for automatic teller machine and credit card cash advances. The borrowed money is interest free and payment isn't due for 15 days to 30 days, depending on the amount and the casino's credit policy. Markers generally start at $500 and rise at the casino's discretion. Patrons seeking a credit line must fill out an application requiring financial and banking information that is provided to credit card companies. Patrons have the ability to submit the information online or via mail and should do so approximately two weeks before their visit to the casino. Casino staff determines the patron's credit risk, examines the patron's ability to pay and approves the credit line amount. The decision takes about one week. Once approved for casino markers, patrons inform staff of their intention to use the credit line when they are seated at a table game. The table games supervisor accesses the patron's information via computer and fills out the proper paperwork. The patron signs the paperwork and is given the appropriate amount of credit in chips. A receipt is given to the patron to use when paying off the marker. It is customary for patrons to pay back the marker before leaving the casino if they have enjoyed a winning session. Many patrons believe obtaining casino credit is easy, particularly in Las Vegas. However, according to gaming expert Frank Scoblete, casinos in Atlantic City require in-depth financial information including a patron's net worth. Many people also believe a marker is totally interest-free. But, interest charges of 18 percent and higher are charged if full payment is not received within the agreed time frame. Failure to pay a casino marker is a serious offense. In major gambling cities, such as Las Vegas and Atlantic City, failure to pay markers is considered a felony. 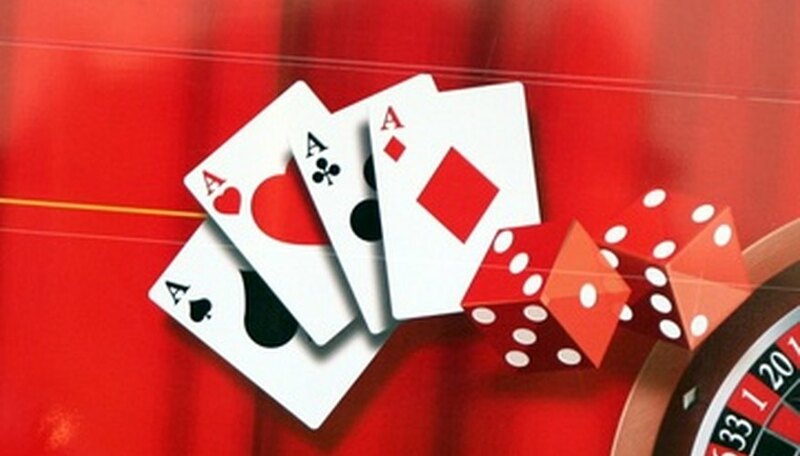 Patrons who cannot pay markers within the specified time frame should contact the casino credit department. The casino will work with the patron to fashion a payment plan, with interest charges, rather than file criminal charges. Casino City Times: Is It A Crime to Give a Casino a Bum Marker? Golden Touch Craps: Take Credit Where Credit is Given?